Something I really love to do is tutor high school students through to Year 12. I’m a former high school teacher with decades of experience. I specialise in English, History and study skills. 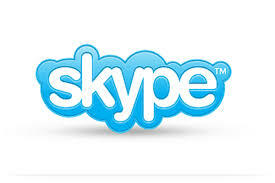 I tutor using Skype. It’s a fabulous tool for both student and tutor. I’m sure we work much harder than we would if we were seated together somewhere! And I get results. I have a can-do coaching style approach, sleeves rolled, working hard until the task is done. For me, tutoring is about engaging my student, stimulating ideas, working out strategies that make all aspects of the task much easier, from essay writing to how to approach an in-class test or an exam. And above all, tutoring should be fun. If me and my student are not have a few laughs along the way, then I’d be worried. “Without Isobel Blackthorn I don’t know where my son would be right now. He’s gone from being a disengaged student in Year 7 to taking accelerated Year 12 History in Year 11. Above all, Isobel has helped him to maintain a positive and mature attitude to his studies.” – Suzanne, Ferny Creek, Melbourne. My rates are reasonable. Just drop me a line using the contact form and I’ll get back to you.